04 JANUARY 2019 (Toronto, ON) – Today, Canadian Country star Chad Brownlee releases his new single “Forever’s Gotta Start Somewhere” via Universal Music Canada (UMC), the country’s leading music company. A follow up to “Dear Drunk Me”, his #2 radio chart-topping debut single with UMC, “Forever’s Gotta Start Somewhere” was written by Cary Barlowe, Todd Clark and Donovan Woods. Download/stream “Forever’s Gotta Start Somewhere” HERE. A modest and humble Canadian country music artist from British Columbia, Chad Brownlee has drive and motivation like no other. In the company of his beloved dog Ellie, the soft spoken artist has spent the past few years pondering life in his cabin near the ocean nestled among the trees where he is confronted by the wilderness around him. It is the warmth of the woodsman lifestyle without any distractions that lets him ruminate over love and life. Deep in the backwoods is where he finds his centre by brooding over love, loss and family with a heartwarming vulnerability that he unearths as age and experience makes him wiser, stronger and more resilient. Alongside daily morning journal entries, Brownlee’s creativity spans music, written word and art, as he creates picturesque and detailed sketches of animals that offer an imaginative escape into the backcountry. The outdoors animate his clever tunes and melodies, which he writes on both the guitar and piano, alternating depending on his impassioned whims. Brownlee’s time of reflection is also yielding new insights. In late 2017, he made a monumental business decision to have a new start by signing with Canada’s leading music label, Universal Music Canada, and the new Canadian powerhouse management company, Starseed Entertainment (also managing the James Barker Band, The Reklaws, and Jade Eagleson), led by Shannon McNevan (co-founder of Boots and Hearts and WayHome Music & Arts Festival) and Don Green (former President of the Canadian Country Music Association). This next chapter of his career promises an artistic vision that can reach prosperity and new heights with Brownlee and his team enthusiastically venturing into new beginnings. The ruggedly charming country singer’s raw talent mixed with heartbreak inspires his pop, country and rock sound that echoes Jack Johnson’s songwriting and Dierks Bentley’s charisma. Brownlee’s genuine intentions, sensitivities and romantic sentiments are reminiscent of Brett Young and Luke Combs. His polished and infectious music leaves his past behind with an honest and deep rooted authenticity while the sincerity of his songwriting is captivatingly grounded in the discomfort and distress of certain endings and specific goodbyes. Marking his return with the signature sound that fans know and love, but with a fresh new flair, Brownlee released his debut single “Dear Drunk Me” in summer of 2018 - radiating a suave maturity with personal evolution, growth and improvement. The track was written by Gordie Sampson, an acclaimed songwriter for artists such as Keith Urban, Carrie Underwood, and Blake Shelton. “Dear Drunk Me” quickly topped charts hitting number 2 on the Canadian Country music charts - his first ever Top 5 single. 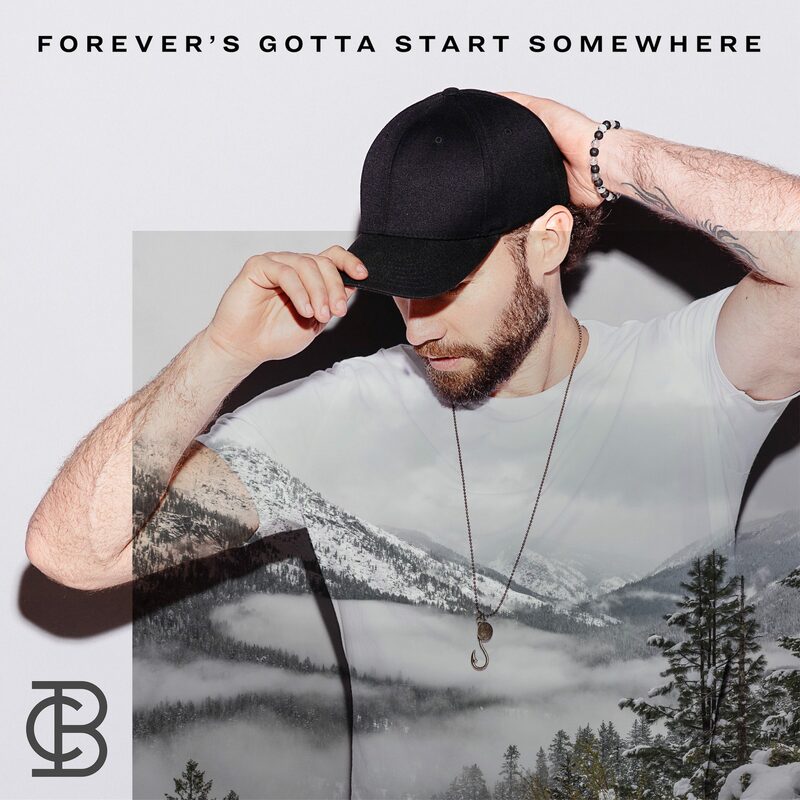 On January 4, 2019, Brownlee released his second single “Forever’s Gotta Start Somewhere” and is currently in the process of finishing his major label debut album. Once a Vancouver Canucks draft pick, now a critically acclaimed country music star, Chad Brownlee is no stranger to the country music world. Brownlee first entered the limelight with the release of his self-titled debut album in 2010 which features fan-favourites “Hood Of My Car” and “Carried Away”. 2011 saw Brownlee winning the CCMA Rising Star Award, lifting him into the upper echelons of the Canadian country music scene. This led him to his albums “Love Me Or Leave Me” in 2012, where he then celebrated the successful release of his sophomore album by hitting the road with Grammy-nominee Dierks Bentley across Canada. Brownlee continued to build on this momentum by building one of Canadian country music’s most passionate fan bases through his next two albums – “The Fighters” (2014) and “Hearts on Fire” (2016). His catalogue of albums contains a plethora of fan-favourites and radio hits like “Love Me Or Leave Me”, and recently gold-certified “I Hate You For It” – proving the steady stream of love for Brownlee’s sound and words. Brownlee holds numerous accolades including a highly coveted JUNO nomination for Country Album of the Year, and consecutive Canadian Country Music Association (CCMA®) Award™ nominations for Male Artist of the Year (2012, 2013, 2017, 2018), Fan’s Choice Award (2017, 2018), Album of the Year (2016) amongst many more. As his passions for music, art, sport and philanthropy run deep Brownlee habitually donates his time to a variety of causes close to his heart and continues to participate in charitable benefits across Canada and the US. His annual charity “Boys of Fall Golf Tournament” which he started with fellow country artist Dallas Smith in 2013, has raised over $500,000 for Basics for Babies, a branch of the BC food bank.